Fellow architects! Do not miss an invaluable opportunity to showcase your work, network with potential clients and fellow architects, grow your business, and advance the vital need for architecture in our community. 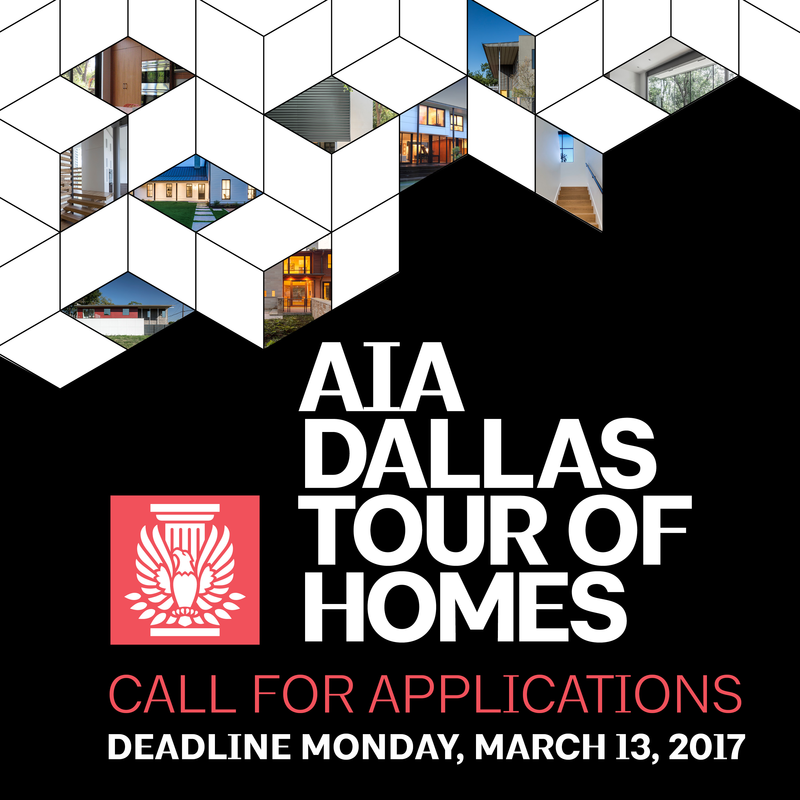 The AIA Dallas Tour of Homes Committee is now accepting entries for the 11th Annual AIA Dallas Tour of Homes to be held October 28-29, 2017. Tour proceeds allow AIA Dallas to provide the variety of programs extended to AIA community throughout the year. The AIA Dallas Tour of Homes is a unique and unparalleled opportunity for the public and the design community to experience great residential architecture firsthand and up close. Dallas architecture is as diverse as our residents and architects, offering an eclectic mix of renovations and new construction designed by up and coming architects to the most prestigious design firms. There is a place in our community for every client, architect and style. I’m privileged to have had two of my projects on the tour – the first in 2012 and the second in 2014. Participating in the tour was a great way to put my work in front of potential clients, network, build up our firm identity, and get to know my fellow AIA members. The overwhelmingly positive feedback and opportunity to demonstrate the value in hiring an architect makes this a chance not to be missed. I highly encourage all our members in the residential sector to consider submitting a project to the AIA Tour – we need your diversity! The 2016 tour was a great success thanks to our fellow AIA Dallas member architects who submitted their works, the hard work of the Tour Committee, volunteers and of course, the support from our local media advocates: KERA, D Magazine, Modern Luxury Dallas and Interiors Texas. To learn more on how to submit your work for consideration, please visit the website or contact Khowell@aiadallas.org for more details!